Arthritis is a catch-all term used to describe more than 100 different kinds of joint pain and joint disease. While it’s commonly believed to be a condition that afflicts the elderly, the reality is that it can strike people in early middle age. In fact, elite male athletes are more likely to develop it than the general public. Some medications can cause some nasty side effects. So, if you’re looking for a natural treatment, consider meeting with one of our physical therapists at either of our convenient locations: Farmingdale Physical Therapy West or Lake Shore Physical Therapy. Depending on the type of arthritis that a person has, doctors may prescribe NSAID pain relievers, corticosteroids, antirheumatic drugs or antibiotics. All of these carry a risk of side effects, and some can be extremely serious. 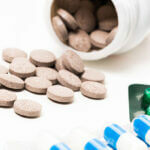 NSAIDs can lead to an increased risk of blood clots, heart attack or stroke. Corticosteroids can contribute to cataracts, cause high blood sugar levels or even contribute to bone loss. Your physical therapist will also recommend a schedule for rest and sleep to complement your exercises. This helps the body to heal and hopefully reduce inflammation and pain. Every treatment regimen is different based on your body’s needs and condition. The best way to get started on a natural treatment through physical therapy is by scheduling an appointment with one of our experts today!